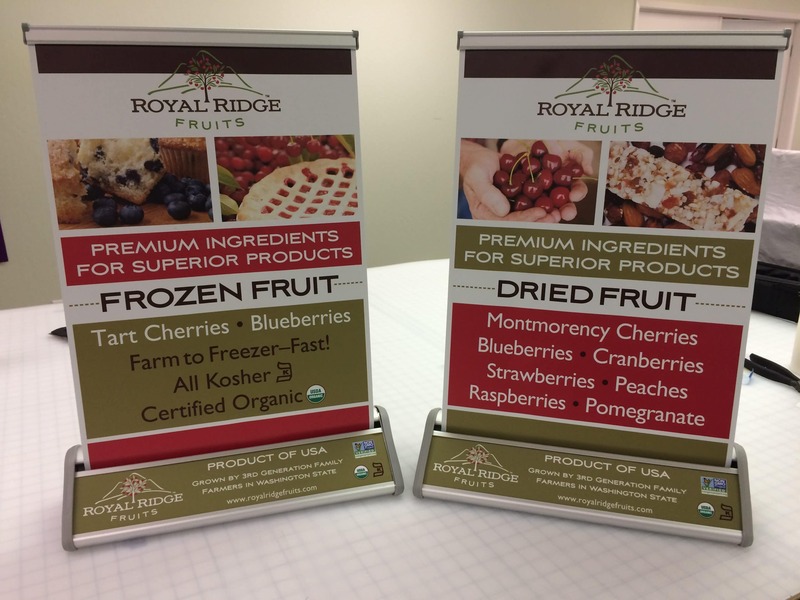 We make all kinds of high quality tabletop display signs for trade shows and other events. At Sequoia Signs and Graphics, we are a full-service custom sign and graphic design company, located in Pleasant Hill, California, and we can help your business with all of your signage needs. If you have any questions, or would like a custom quote, give us a call today. We’d be more than happy to sit down with you and show you some of our tabletop displays, as well as any other sign products that you’d like to see. Tabletop displays are a great way to advertise and market your business at a trade show or other event, and for a few different reasons. For one, they’re very portable, making them easy to haul to just about any location and set up in just a few minutes. They’re also a great sign product because they can be very affordable. 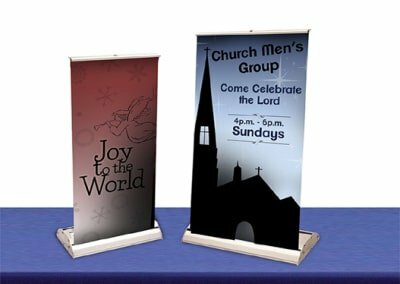 They can range from very small to much larger tabletop displays that take up an entire 6 x 4 table, so no matter your budget we can great a great sign for just about any business. At a trade show it’s important to make sure that your business stands out, especially if you have competitors in the room. 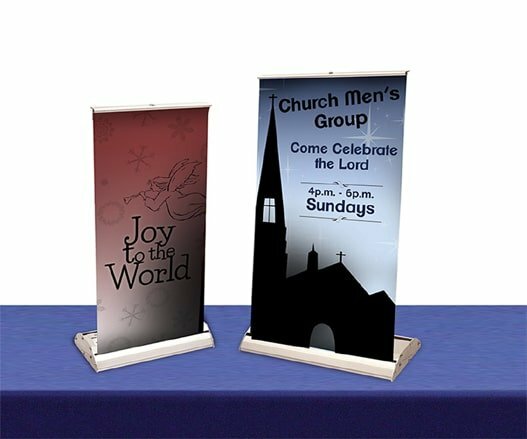 We can design and fabricate custom tabletop displays that will attract prospects and bring them to your booth. 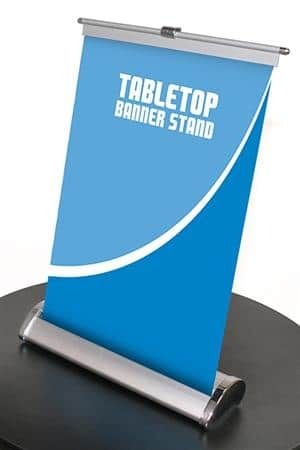 Have any questions about tabletop displays? Give us a call or fill out a form to the right and we’ll contact you within 1-2 business days.